The dollar is weaker today and for the week after markets became optimistic overnight following a rebound in Chinese exports. Data also showed credit growing in China. European industrial production data was better than expected, strengthening the euro. The UK pound is also up on relief that the UK will not be crashing out of the EU today. The safe haven dollar heads for a losing week after sentiment turned positive for the Chinese economy, and after other global data generally came in better than expected. The dollar is up slightly for the year, but faces headwinds as uncertainty fades around Brexit, the Eurozone economy and trade talks. The Fed is clearly on hold for the rest of 2019 leaving markets to wonder what would cause the dollar to strengthen. The pound is stronger today after the UK accepted the EU’s offer to extend the Brexit deadline to Halloween, meaning the UK will not leave the European Union today as previously scheduled. 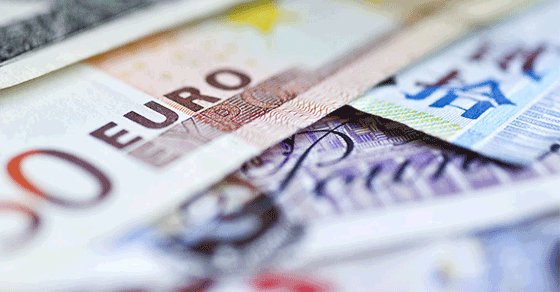 The euro is stronger as Eurozone industrial production figures showed a contraction that was smaller than expected. The prior month was also revised favorably. The Canadian dollar is stronger today after strong Chinese trade and loan data led to market optimism; additionally, oil continues its march higher since December. The Chinese renminbi gained after exports rebounded strongly in March following a weak February. Imports were down, thereby growing the trade surplus significantly. The Aussie dollar is up strongly this morning on the back of strong trade data out of China, despite the Reserve Bank of Australia releasing a downbeat economic outlook.